Seven years ago my life changed when I stepped into the Oakville Hearing Centre and sat down with Audiologist, Nicole Clark. I had spent the last three years traveling around the globe and slowly started to realize something wasn’t right. I found myself in European hostels chatting with friendly folks from the around the world often straining to follow a group conversation (I blamed it on their accents). In 2018 I spent a year teaching in Korea and was once advised by the schools administrator that they could hear me screaming at my class all the way down the hall (I blamed my loud mouth on the fact that Korean’s tend to speak quietly and I wanted to grab their attention by singing and dancing around the room). Before returning home to Toronto in 2010 I asked my mother to book me an appointment at an audiologist. After years of slowly noticing a decline in my ability to comprehend the sounds around me I wanted to get checked ASAP. I was in denial the day I walked into Nicole’s office and she told me I required hearing aids. I was 25 year old and was oblivious to the fact that young gents like me could experience hereditary hearing loss so soon. It was years later that I finally felt comfortable enough to share a story about my disability and just last year had an opportunity on Global Accessibility Awareness Day, to visit an Apple Store and learn more about how the world’s favourite tech brand is making lives more accessible. 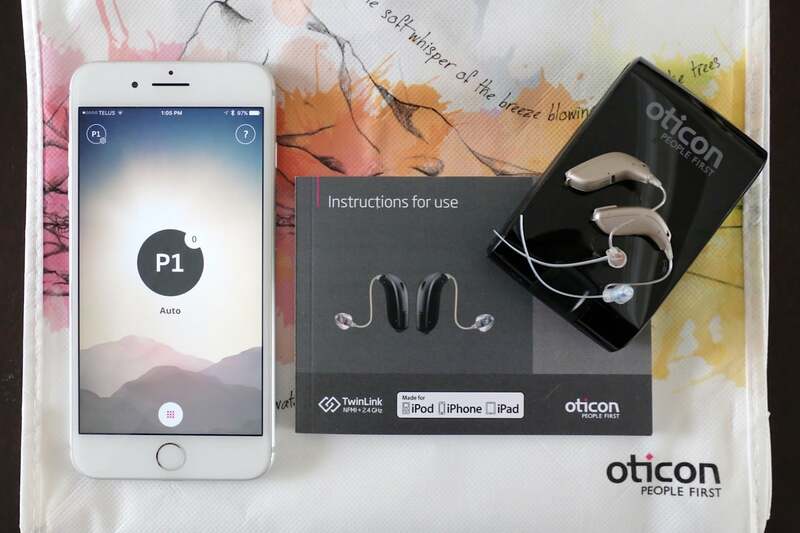 I spent the winter testing out my new Oticon Opn hearing aids and was amazed at how they transformed my life, often in the simplest ways. Groundbreaking technology from Oticon is fast and precise enough to analyze and follow the dynamics of the soundscape, and differentiate between speech and noise. By rapidly and precisely reducing noise, it allows you to access and handle multiple speakers simultaneously. Powered by the groundbreaking Velox platform, Opn scans the environment 100x per second to provide you with more accurate information about the 360º soundscape. Oticon Opn improves your ability to understand speech by up to 30%, so you don’t have to work as hard to understand, leaving more mental energy to remember what you hear. Easily adjust volume from your iPhone. Check battery life to ensure you never leave the house again without backup batteries if you’re running low on juice. When you’ve misplaced your hearing aids simply click on Find My Hearing Aids to locate the devices on Apple’s handy Map app. 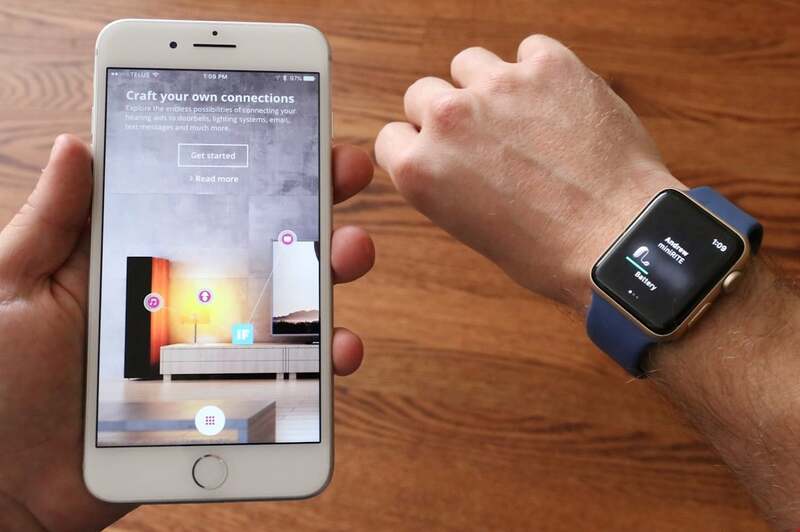 Use the IFTTT (If This Then That) function to trigger your lights, home alarm or smart thermostat when you turn your hearing aids on or off. Or tell your hearing aids to notify you when your battery is low, the laundry is finished, or someone’s at the door. What I love most about my Oticon hearing aids is how connected I feel to the technology I use every day. I no longer use headphones to listen to music as I can stream my fave playlist directly from iTunes. When I Facetime my family I no longer strain to hear what they’re saying as the audio plays directly through my hearing aids. Calls now ring directly to my hearing aids so I never miss an important conversation with a client. If you’re hooked up with Apple TV at home stream the audio from all of your favourite Netflix shows and films to enjoy perfect pitch. It took me about a month to fully appreciate how Oticon’s hearing aids could change my everyday. 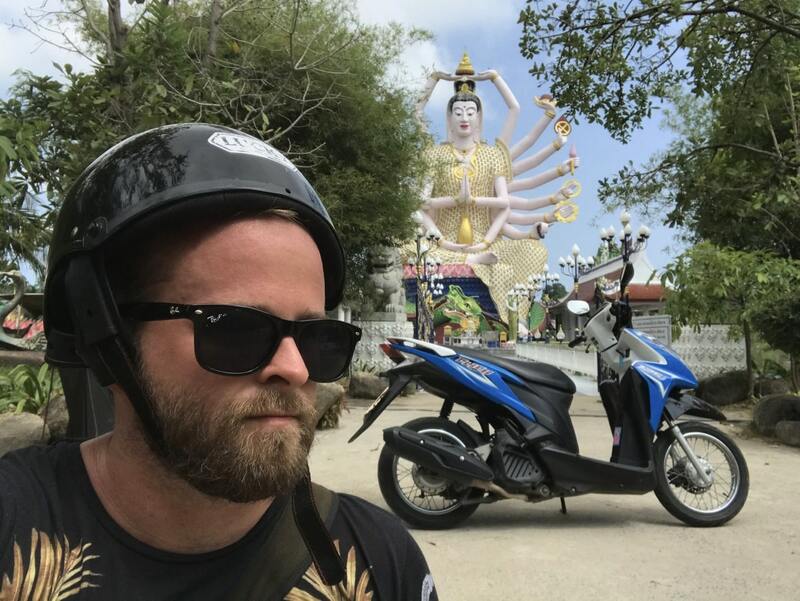 The most memorable moment I’ve had using my new hearing aids was this winter when I embarked on a motorcycle road trip in Koh Samui, Thailand. After wrapping my hearing aids around my ears I typed in the address to the Four Seasons Resort Koh Samui and slid my iPhone into my backpack. Never thought I’d live to see the day I’d say this, but I’ve never felt so safe zooming on a motorcycle on a chaotic highway in a foreign country where I can’t even read the road signs. Throughout the ride Siri clearly chirped in my ear to let me know when I needed to turn left or right. The trip was entirely hands free thanks to the fact that I was wearing Apple Watch Series 2 on my wrist. The Apple Watch would buzz on my arm to notify me when I needed to change course and with a quick flip of the wrist I could visualize a map to see my newest set of directions. I arrived safe and sound ready for a relaxing day at the island’s most luxurious resort. I’ve never felt so connected, confident and aware of the world around me. Sipping a rum muddled cocktail on the beach offered the perfect opportunity to celebrate. I know I’ll always struggle with my hearing loss but that doesn’t mean I can’t take advantage of the latest tech to make this bumpy adventure called life a fun one. so glad your new hearing aids are such a blessing to you and enable you more freedom in life’s activities and pleasures!